. . . April Wine Events . . .
Four Week Wine Course ($295 if you register before April 3rd) which offers a thorough examination of grape varieties, studying regional variations in the wines produced from those varieties. In this course you’ll taste all major grape varieties from Sauvignon Blanc to Nebbiolo, and see for yourself the differences in wines coming from different regions. Want to order Chardonnay? You’ll know which one will match best with your food. Love Malbec? 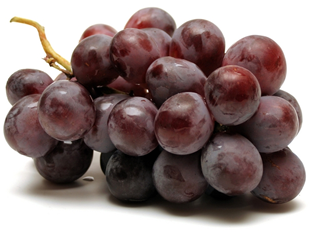 You’ll learn which wines contain this grape even if it doesn’t explicitly say so on the bottle. Want to ask the right question to the wine waiter? You’ll know which questions will get the wine you need, at the price you want to your table. Short Introduction to Wine ($35) offered on most Fridays. Taste, enjoy and learn about wine with us on any one of the following Fridays: March 31st, April 14th or April 21st. Malbec and Aglianico, Riesling, Summer Wines and Open House Tasting. Please join our e-mail list by sending an email to info@tastingworld.com with “list” in the subject line. Humor is a tool that can improve relationships. Laughter has a way of establishing closeness and creating intimacy between couples. In relationships, it provides a way for people to bond on an emotional level. According to neuroscientist Dr. Robert Provine, who studies laughter, “Laughter establishes – or restores – a positive emotional climate and a sense of connection between two people, who literally take pleasure in the company of each other. Of course levity can defuse anger and anxiety, and in so doing it can pave the path to intimacy. Laughter is not primarily about humor, but about social relationships." Simply put, laughter helps people bond by attuning their brains to the same wavelength, thereby allowing them to connect in a very special and unspoken way. It certainly won’t keep the wolves from the door or eliminate all problems, but it creates a mental framework that connects people in a way that allows them to address problems together and work as a unit. If it’s a healthy relationship you are looking for, make room for laughter.